Our Native American culture is a living, breathing entity. It is a tapestry of tradition and values passed on from generation to generation. Today, many of us are aware of the challenges facing Indian country and the struggle to join together in unity and preserve our vibrant culture and history. As Natives, we often discuss the struggle of trying to live and thrive in two worlds: the world of our culture and ancestors and the one of a modern day civilization that is a melting pot of ideals, customs, and beliefs. 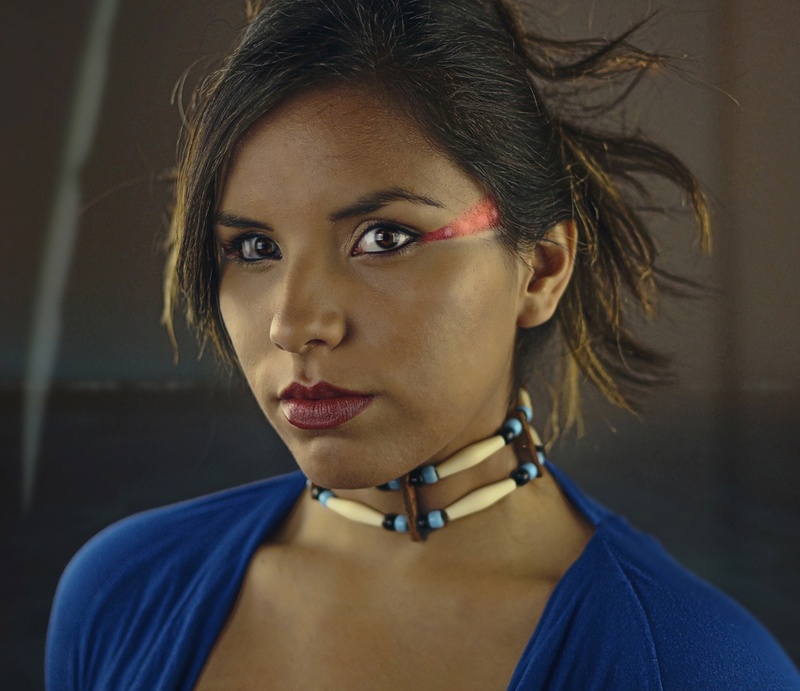 Often, when as Indigenous people, we embrace our physical beauty and inner uniqueness, the conflict between these two worlds becomes even more apparent. There is a generation of proud Native Americans, however, rising up in the midst of the turmoil and persecution of this present day and reclaiming their identity, their heritage, their pride, and their dignity. A generation lifting up an anthem of hope as they break out of the mold and pressure to “fit in” and pursue their cultural identity that has been suppressed for far too long. Hope. It’s such a simple word, yet it holds the key to so much power and redemption. When hope rises up in our hearts, it's the spark that ignites the flame; it empowers us to take hold of our future and shine bright to the world around us. Jatonne, a musician and member of the Cheyenne River Sioux Tribe, states, "Growing up, I always thought there was a certain way people thought I should look…a certain way people thought I should be.” He continues, “Now, the way I look at life is that you have to take chances to actually live….Music is my way of letting things out…when I write something that means something to me, I just hope that when I show it to someone, it means something to them." Emme, an Oglala and intern at the Akta Lakota Museum at St. Joseph's Indian School, states, "My job is to quite literally maintain the meaning of our Native American contemporary art and record it for our archives and future generations. I have that privilege, and I am so thankful to be given that opportunity. With Native American art there is symbolism, history, culture, politics, spirituality, philosophy, myth, and academics. Native American art inspires hope because it says that we are here. We are strong, intelligent, thriving, and we can do anything we set our minds to, because we are here." In the Lakota culture, the word tiyospaye encompasses the conviction that family is not only made up of immediate blood relatives but also extends to all those within the tribal clan. The Lakota have a saying that helps to clearly describe this belief: Mitákuye Oyás’iŋ el lechangleska wichoni, which translates: "We are all related in this circle of life." Tiyospaye embraces the beauty of living in harmony, taking care of one another, and trusting each other. Your tiyospaye will support you throughout life’s journeys, whether the road is rocky or the path smooth. As members of this modern day generation of Native Americans, we must come together as one tiyospaye in community and purpose. It’s imperative that we join together to celebrate the intricate beauty of both our differences and our commonalities. To support one another when the path is smooth or when the road is rocky. To raise our voices in an anthem of hope and to ignite the fire from within. Will you add your voice today? There is power in unity. We can only accomplish so much on our own, but together we can create a movement that brings tangible change and creates a future of hope. You can give hope and change to the next generation of Native Americans.